When you're sleepy, stressed or have had a few drinks, you're not in the best position to drive – or even make that decision. But automated cars could soon make that call for you. In Europe, more than 25,000 people lose their lives on the road every year, while another 135,000 are seriously injured. The main culprits are speed, alcohol or drug driving, non-use of seat belts, distraction, and fatigue. 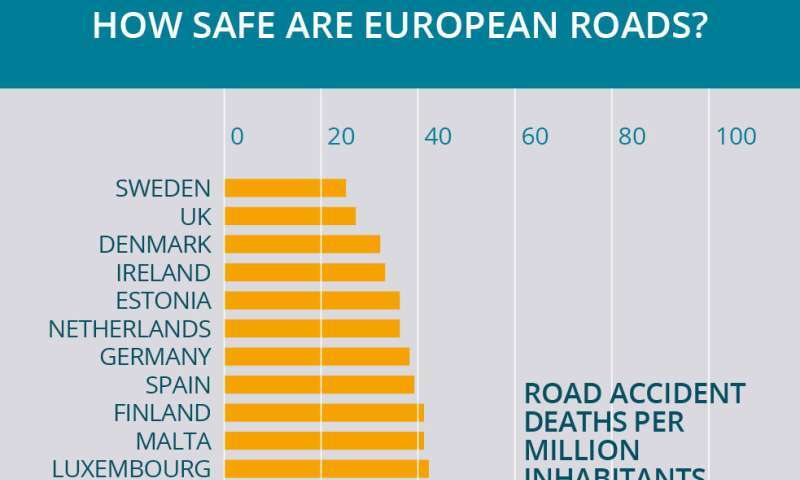 Europe is the world's safest region with 49 deaths per million inhabitants, but given that the EU aims to bring road safety deaths down to almost zero by 2050, there is still more to be done. The type of automated cars on the road today provide steering, brake and acceleration support while the driver is still at the wheel and constantly monitors the driving. These are known as level two on the autonomy scale, but cars could reach up to level five on the six-level scale in the future—becoming a completely driverless car. However, we are not there yet and we have to take it step-by-step, says Dr. Anna Anund from the Swedish National Road and Transport Research Institute (VTI). She and her team are developing sensor-based systems as part of the ADAS&ME project to move towards level three, in which the driver can rest and would only be expected to drive when the car requests it. These systems would also automatically transfer control between vehicle and driver to ensure road safety, especially when the driver is sleepy, stressed, distracted or anxious. "We want to make sure that we don't give the control back to drivers that are not fit to drive, and also that we can use the automated functionality to take over the control if the driver is not fit to drive," said Dr. Anund. "What we would like to achieve is a safe and acceptable transition in order to avoid severe crashes with people being severely injured or even killed." A lot of drivers are unfit to drive from the beginning—sometimes they're fatigued, sometimes they fall asleep as they drive in the middle of the night, sometimes they're worried, stressed or inattentive, she explains. A driver's state, but also other factors, such as their health, what road they are driving on, the weather conditions and what time of the day it is, influence driving and increase the risk of crashes. According to information published by the European Commission, driver fatigue is a major factor in 10%-20% of road crashes. However, because it is hard to measure fatigue or sleepiness, it has received relatively little attention over the years in conjunction with traffic and traffic accidents, says Dr. Anund. The ADAS&ME team are looking specifically at seven different driving scenarios in various vehicles, including cars, trucks, buses and motorcycles. In one scenario, a car needs to take over emergency braking when a driver on a motorway is on their mobile phone and the car in front brakes abruptly. In another, a motorcycle is able to detect that a rider has fainted and turns on the hazard lights, decelerates and pulls over to the side of the road. The systems use many types of sensors to monitor the drivers' state, such as eye trackers and sensors to measure heart rate and changes in voice or face images, most of which are on the vehicle's dashboard, wheel or seat. These sensors exist and is matter of using them together in a driving context, says Dr. Anund. Dr. Anund and her team have found that one group of drivers at risk of fatigue are bus driver, whose split shifts affect their sleepiness and performance during afternoon drives. "We know that about 40% of bus drivers in the city have to fight to stay awake 2-4 times a month or more often due to high levels of stress," said Dr. Anund. This could be alleviated by allowing an automated bus to support the driver – for example through automated docking at bus stops – while ensuring the driver still has control in unforeseen circumstances. Helping the vehicle and the driver to work together can lead to safer roads, she says. She also notes that each person varies and reacts differently in both normal and impairment states, such as sleepiness, and therefore the systems should work on an individual level. To measure heart rate variability accurately, for example, information such as age and gender should be included or the initial state of the driver should be used as a reference. "It's important to develop systems where your individual preferences and behaviours are incorporated," said Dr. Anund. "So we will also focus on individualising the detection system but also the HMI (human-computer interaction)." If the user can design how they want the communication between human and vehicle to be done, then there's more trust and acceptance, she explains. Another problem in road safety is driving under the influence of alcohol. About 25% of all road deaths in Europe are alcohol-related. As alcohol concentration in the drivers' blood increases, the crash rate does too. One of the recommendations to the EU suggested in a 2014 report by Ecorys, a research and consulting company, is to make alcohol interlock devices—in which drivers have to take a breathalyser test before they can start the ignition—mandatory for certain categories of drivers or vehicles, such as repeated drink-driving offenders, professional drivers or commercial good vehicles. Previous studies have shown that alcohol ignition interlock devices are 40%-95 % more effective in preventing drink-driving recidivism than traditional measures such as licence withdrawal or fines. The risk of reoffending is reduced by 28%-65 % when these devices are installed, and rises again if they're removed. Julian Sofroniev, CEO of Bulgarian company Global Technology Biodit, which manufactures biometric security products, said: "These devices are really important. We could save more than 25,000 lives by preventing car engines to start when people have high levels of alcohol in their blood." Biodit is developing a device that combines alcohol detection with biometric identification to prevent a drunk driver from starting a vehicle, through a project called PREVENT. The idea is that the ignition lock would replace the start/stop button and would be pressed by the driver when they get into a car. The device would use a laser to measure different physiological parameters – such as heart beats or sweat, for example – and if they've had too much to drink then the car's ignition would simply not start. "In these cases you could call a taxi, but you definitely can't use your car," said Sofroniev. 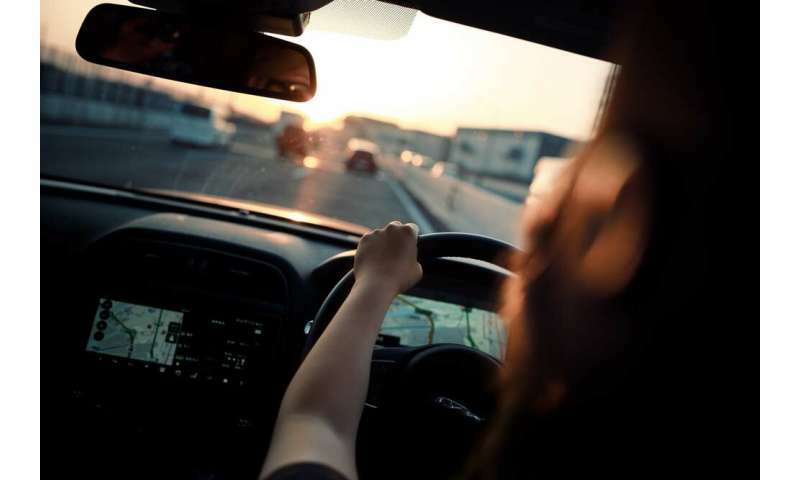 To avoid the risk of someone other than the driver taking the test, the device will also use finger vein recognition, where vein patters are matched to records, to confirm the driver's identity. Blood vessel patterns are unique to each individual and are almost impossible to fake because they are located beneath the skin's surface. In its first stage of research, PREVENT confirmed a market need for such a device. Consequently, Sofroniev and his team are continuing to develop their device and hope it will hit the market by the end of next year.